Maurice Johnson (1688-1755) was a very remarkable man, responsible for creating the Society and supporting it for over forty years. He brought it from small beginnings, as a group of like-minded friends meeting at a Spalding coffee-house, to a society known across England and beyond as the Spalding Gentlemen’s Society, with corresponding members across the world. Maurice was the son of a Lincolnshire lawyer, also called Maurice Johnson, who lived at Ayscoughfee Hall and administered legal affairs for local residents and landowners, including managing the Spalding property of the Duchess of Buccleuch. When the Duchess’s grandson, Francis Scott, was about to go to Eton to study, he was accompanied by the young Maurice Johnson who had already received a firm foundation in the Classics at Spalding Grammar School. From there Johnson began his legal studies at the Inner Temple, London, in 1705, qualifying as a barrister in 1710. While in London, he took part in the city’s literary life by attending the coffee-house clubs which were a feature of the London scene, meeting weekly to discuss books and philosophical ideas. He was introduced to famous figures like the poet Alexander Pope and the essayists Addison and Steele. It was Richard Steele who encouraged the young Johnson to start a society of his own when he returned to Spalding on qualification, to join the family legal practice. In 1710 his society began informally as a group of local gentlemen, lawyers, clergy, merchants and doctors, meeting weekly to read and discuss the latest journals like the Tatler and Spectator. By 1712 the group had taken on the task of cataloguing and preserving the Spalding Parish Library. It was given a formal constitution as the Spalding Gentlemen’s Society, with a set of rules permitting the discussion and investigation of the whole area of the arts and sciences, though with an absolute prohibition on discussing politics. This was one factor that kept the Society together when other local groups declined into argument. A further factor was Johnson’s hard work in finding topics for the weekly meetings. Johnson’s work as a lawyer, specialising in land drainage law, a key area in the 18th-century Fens, took him regularly to London. 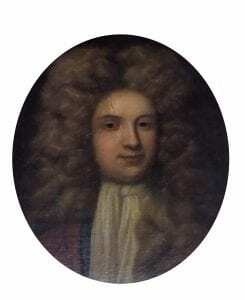 There, together with friends such as local doctor William Stukeley and the Gale brothers, Roger and Samuel, all of whom became Spalding society members, he helped in 1717 to re-establish the Antiquarian Society, today’s Society of Antiquaries. He also had the opportunity to meet important people of the time and encourage them to become corresponding members of the Spalding Gentlemen’s Society, who could send letters on topics of interest and the latest research, to enliven the Spalding meetings, or honorary members who gave lustre to the Society. These included fellow Lincolnshire man Sir Isaac Newton, Alexander Pope, John Gay, the author of the highly successful Beggar’s Opera, scholars from the universities and Sir John Clerk, the Scottish antiquarian and politician famous for organising the finance of the Act of Union of 1707. An unusual member was Job Diallo, an Islamic prince and scholar from West Africa, who had been taken as a slave to America, was ransomed in 1733 and became a great social success in England on his way home to Africa. To become a member, one had to donate a book of the value of at least £1 to the Society’s growing library; these books still exist in today’s Society, each inscribed with the donor’s name. Local members also paid a subscription of sixpence for each meeting attended. The Society also established a herb garden to grow unusual and useful plants and a museum containing specimens of natural history, coins and other archaeological finds, together with their growing collection of scientific instruments such as telescopes and microscopes. The six volumes of minutes of their meetings, kept by Johnson as Secretary, demonstrate the remarkable range of the Society’s activities. There are entries on astronomy, fossils, archæological items such as bronze and stone weapons, the latest poetry, art, philosophical ideas and discoveries in natural history, often accompanied by precise drawings by Johnson, himself a competent artist. Many meetings were enlivened by the reading of letters from the Society’s many corresponding members who lived across Britain and as far afield as Norway, the Caribbean and India. Over 500 of these survive in the modern Society’s archive. For 45 years Johnson was the central figure of the Society. At the same time he and his wife Elizabeth established a family at Ayscoughfee Hall; of the 25 children born to them, eleven reached maturity. The sons, who had careers in the army, law, church, navy and Indian civil service, became supportive members of the Society and at least one of his daughters provided some illustrations for the Minute Books. Perhaps Johnson’s greatest talent was for friendship. He encouraged people to meet and discuss on a friendly basis and to share their discoveries with other groups including the Royal Society and the Antiquarian Society. His Spalding society produced two other local groups: the Peterborough Gentlemen’s Society, founded in 1730 by the Revd Timothy Neve, former Treasurer of the Spalding society, which survived until the late19th century, and the shorter-lived Brasen Nose Society at Stamford in the late1730s, founded by Johnson’s old friend William Stukeley. Johnson’s final benefaction to the Society was a way of ensuring its survival. In his will, proved on 30 May 1755, he left the income of “the Chapell at Wykeham in the Parish of aforesaid Spalding” to the Governors of Spalding Grammar School, to be paid to the school’s Headmaster in addition to his salary, to ensure that he “will conscientiously constantly and honestly take charge and care of the Museum Books Papers…of and belonging to the Spalding Gentlemen’s Society”. This arrangement lasted well into the 20th century. Thus the survival of the Society’s library, and with it the continuing existence of England’s oldest surviving provincial learned society, were assured into the 21st century, thanks to the foresight of its remarkable Founder.